Healthy yet creamy ice cream doesn’t get any easier than this! Being lactose intolerant can be a terrible thing when an ice cream craving comes on. Now, I’m a BIG fan of store bought coconut milk ice creams, but they are typically loaded with sugar. Plus, they cost a small fortune. 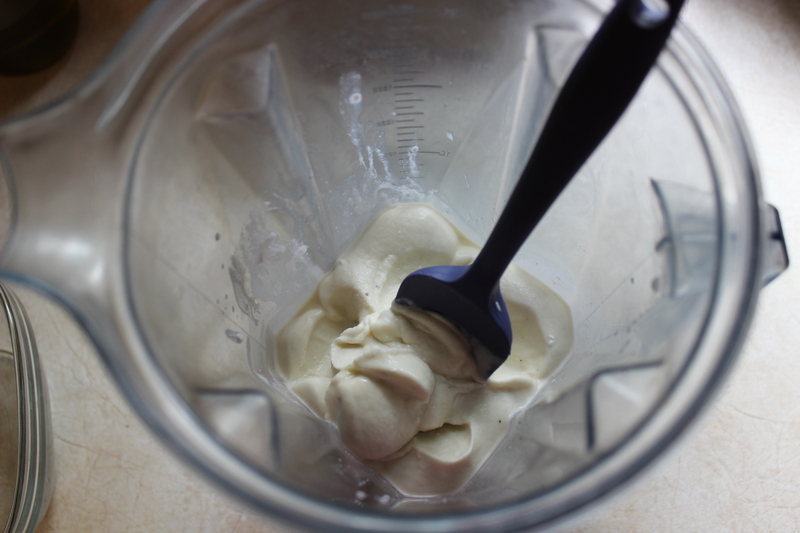 I’ve seen a few recipes on frozen banana blender ice cream and made a few tweaks, some experimental runs (no one complained about the first couple batches, but I wanted to find just the right consistency). I think I’ve found a mix that really works. This is best done in a high speed mixer, but I’m thinking that maybe you could let the frozen bananas soften a bit and then do this in a regular blender and just let it set up in the freezer a little longer. If someone gives that a try, please let me know how it went! Lately, with all of my experimentation, I’ve been buying an extra bunch of bananas (or two if Im at Costco) and letting them get super ripe before throwing them in the freezer (fully intact peal and all). Leaving them in the peal prevents freezer burn. When you are ready for them, just use a paring knife and peal the skin off of the frozen banana. Then, I usually cut them into thirds before throwing them in the Vitamix. You WILL need your tamper for this if blending them fully frozen. 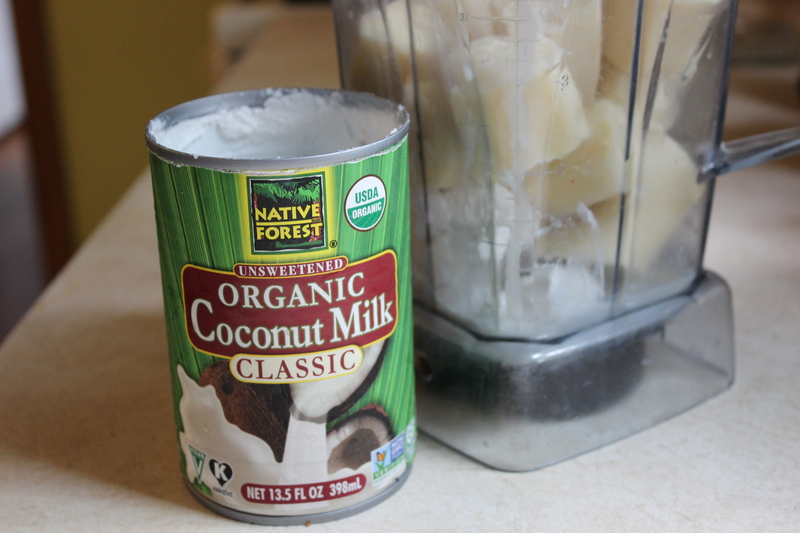 Add the coconut cream, coconut milk, blend until smooth and DONE. Really, that’s it! Eat it directly, or let it set up 20 mins – 1 hr in the freezer and then top and serve. I like the consistency a little better after it sets up a while. A quick note on canned coconut milks…they are not all created equal. I really like the quality of the Native Forest brand. It has a good amount of super thick cream on top and tastes great. There are other great brands out there- just make sure you find one with a super thick cream on the top of the can or your ice cream will end up runny. Talk about guilt free, its like eating a banana and drinking some coconut milk! No added sugar and only 2 ingredients! And from the taste, no one would even know. Scoop into serving bowls, add desired toppings and ENJOY! I scream, you scream, we all scream for ice cream…. Ema – that sounds like a perfect addition to the topping list!